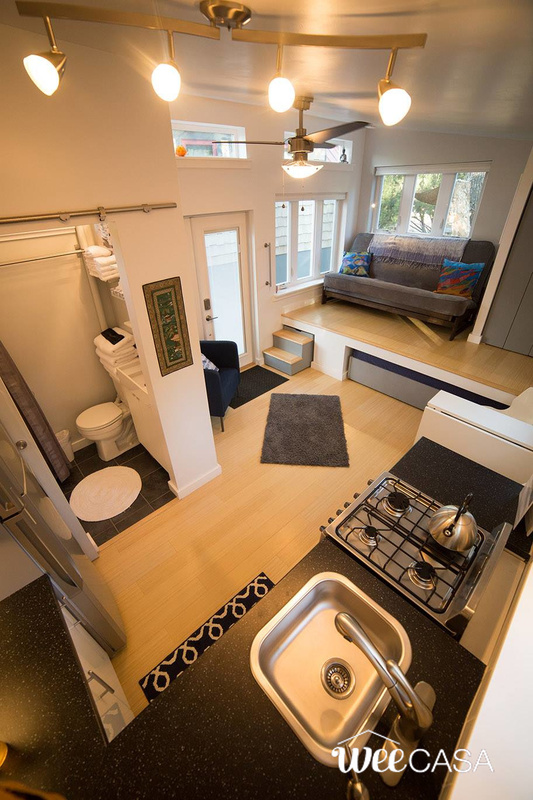 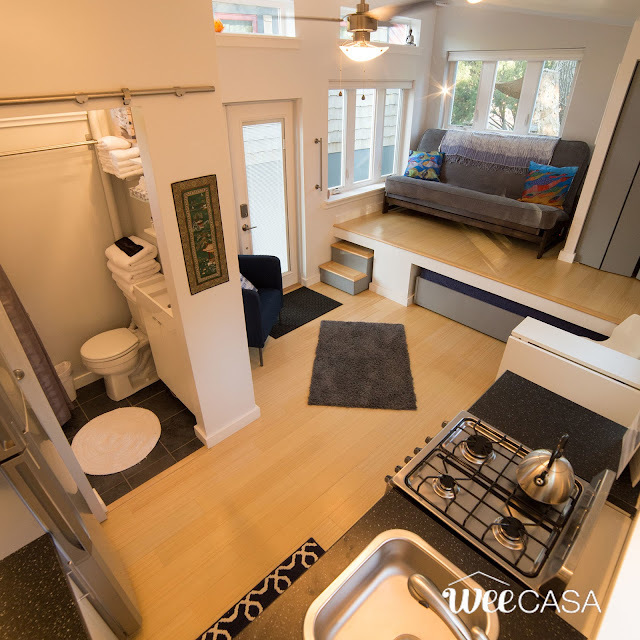 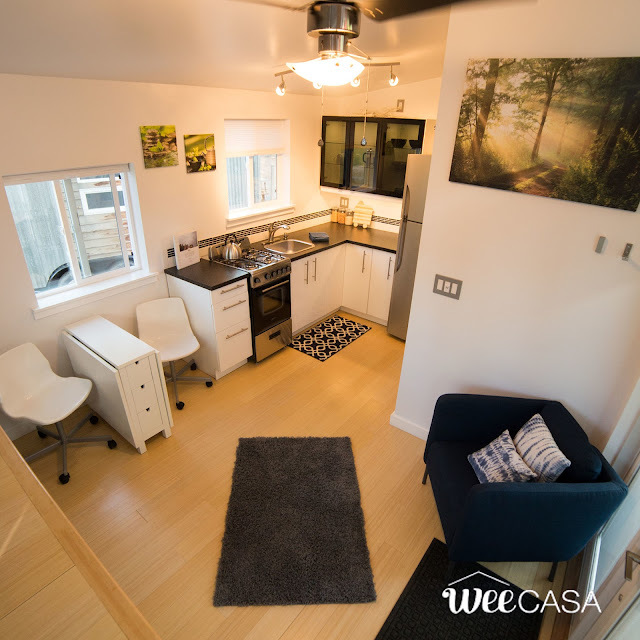 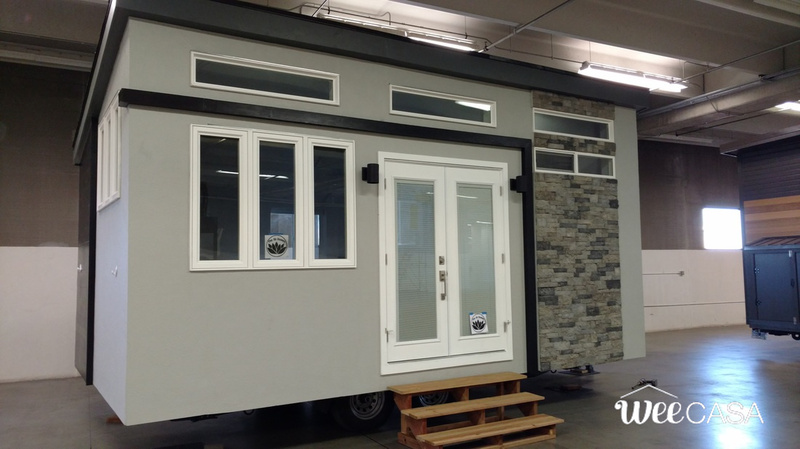 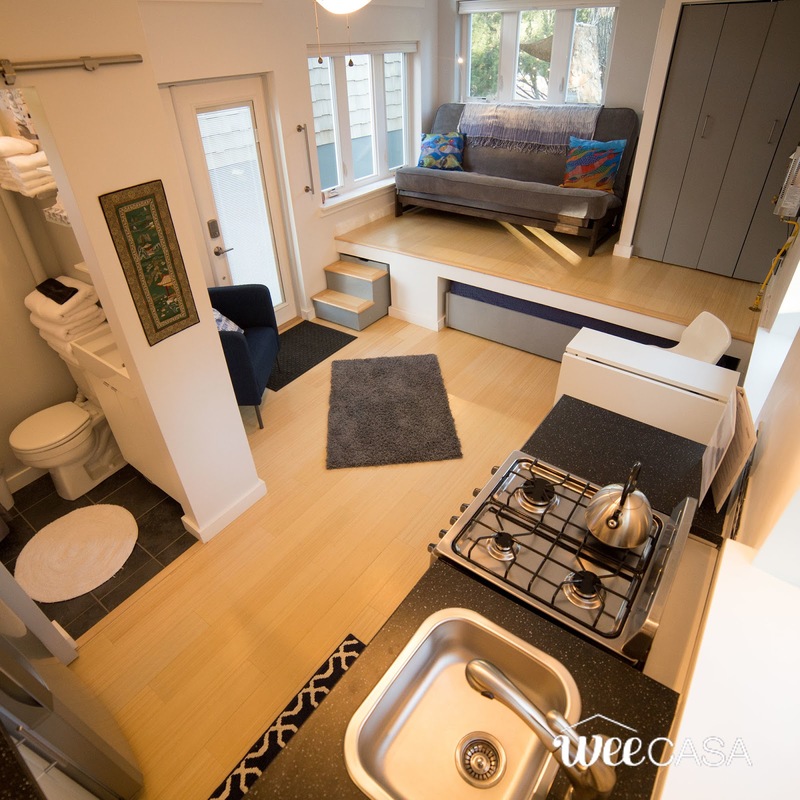 Currently available for rent at the WeeCasa Tiny House Resort is this bright and spacious tiny house on wheels! 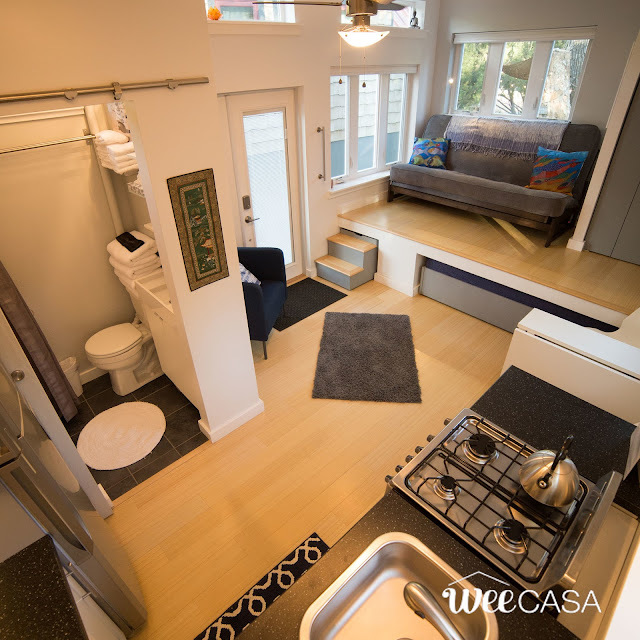 Dubbed "The Nun's House", the home measures 20' x 12' and features a single-floor layout with 240-sq-ft of space. 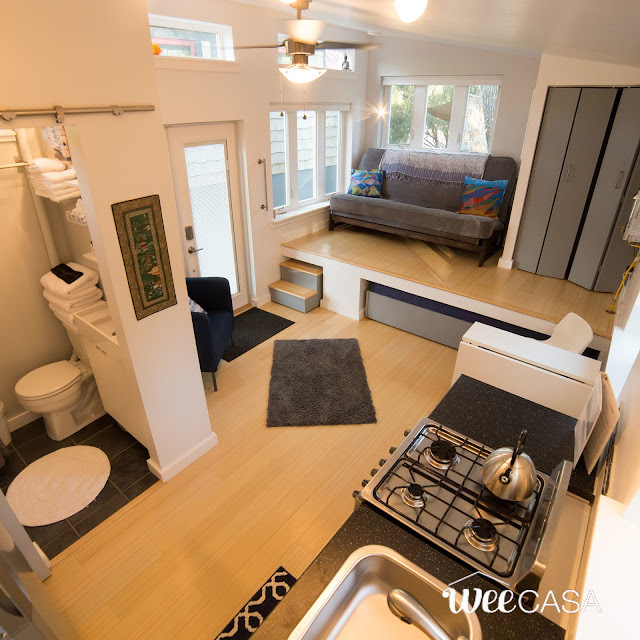 Inside is a full kitchen, bathroom, an elavatred living room with a sofa bed, a queen-sized mattress that rolls out from under the living room! 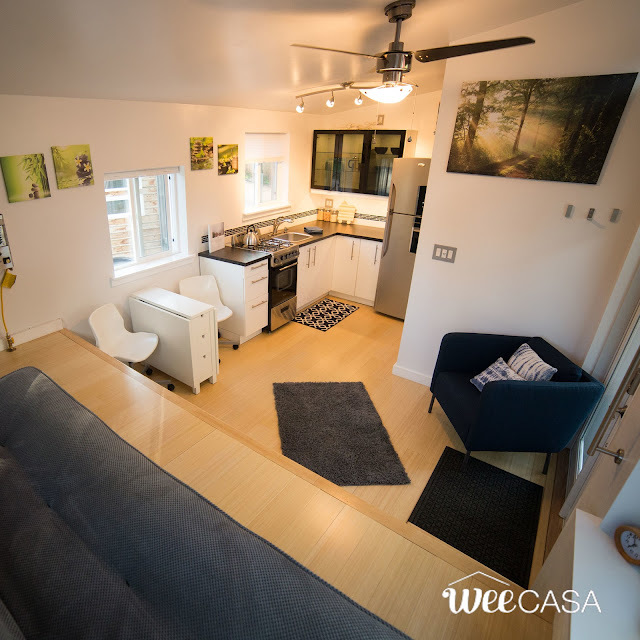 Heating and A/C is also available in the home! 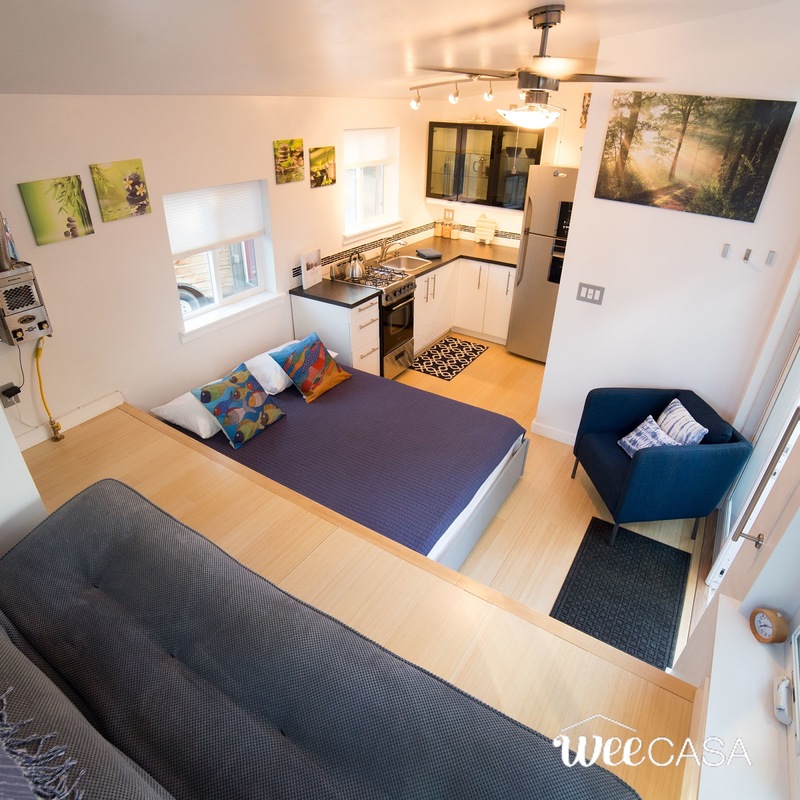 The Nuns House is currently available here for rent at $139 a night. 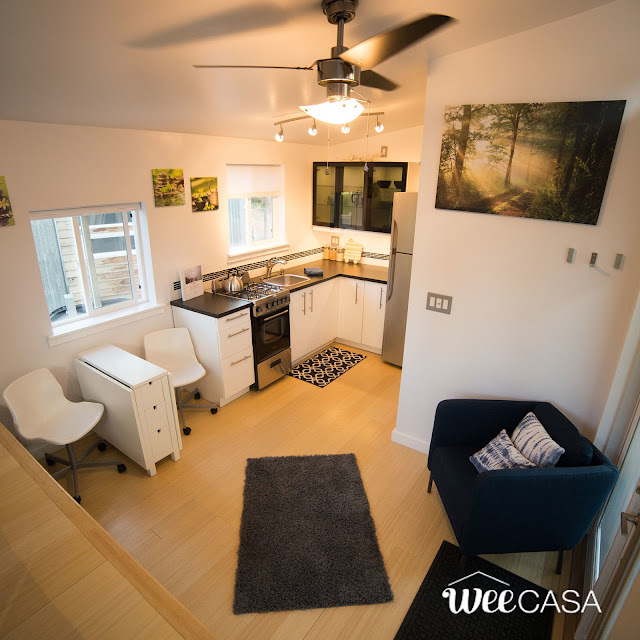 You can also check out these other homes, also available at WeeCasa!